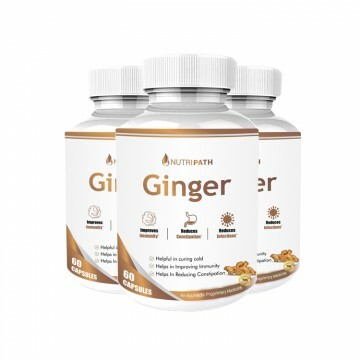 Nutripath Ginger Extract is herbal and free from side effects. Our Ginger extract is fortified with antioxidants and boost digestion and immunity. Ginger Extract is also effective to prevent diseases and cures cough and cold. Ginger, the famous ancient spice that is not only used in the culinary but is also widely known for its health-beneficial properties. This spice is not only common in our Indian kitchen rather it is used extensively in different parts of the world. In Ayurveda, we have also seen the variations of uses of Ginger. Except using as a taste enhancer, ginger also helps us to get rid of various health-related problems. Ginger contains loads of nutrients, vitamin, and mineral. 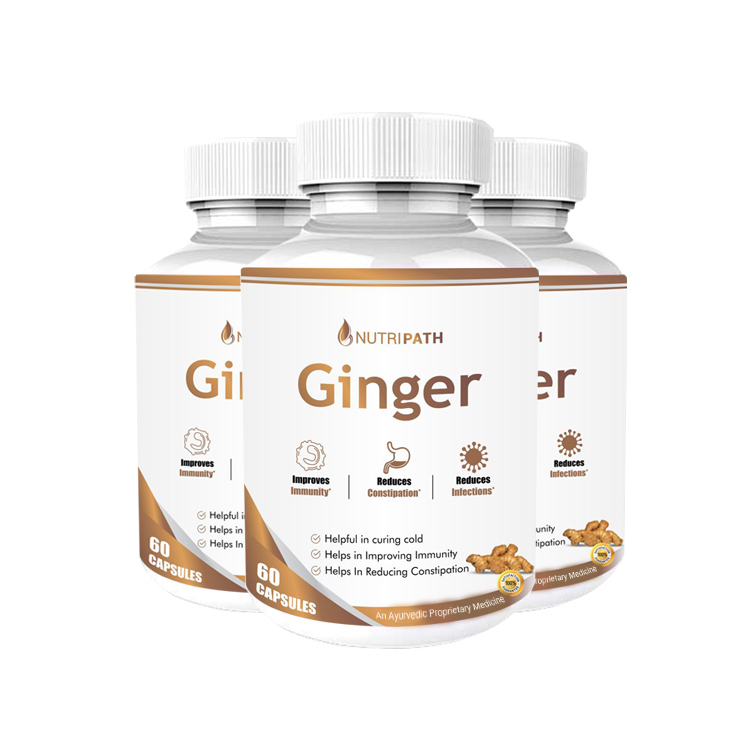 We have taken the pure ginger and used its extract to make our Nutripath Ginger Extract Supplement. Our supplement contains all the goodness of ginger and is capable to promote the overall wellbeing. Ginger extract facilitates digestion and soothes our stomach to maintain its regular activities. Ginger also prevents excessive gas formation apart from removing gas from our body. To regulate the sugar level, detoxify our body, cure a common cold, and enhance the bone health, ginger has proven extremely helpful. See the below-mentioned key factors and know why Nutripath Ginger Extract Supplement is best for you.